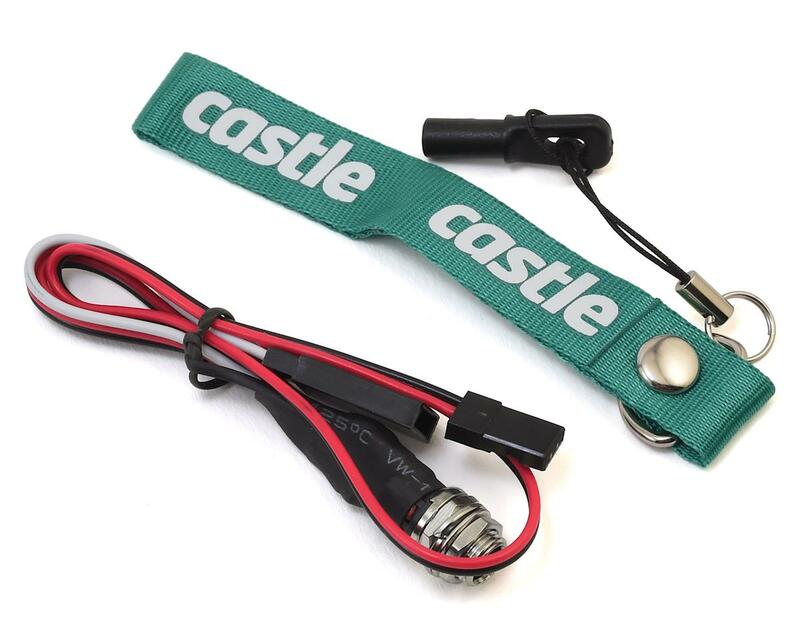 The Castle Creations Arming Lockout Harness attaches to the AUX LINE on Phoenix Edge ESCs and the receiver, and is designed to act as an extra safety measure while operating your RC Heli or Airplane. When the key is fully seated into the socket, the controller will be incapable of arming. Once the key is removed, the ESC will arm when it receives the low throttle command on the traditional throttle line. If the key is inserted while the motor is running, the ESC will go into the ARM LOCKOUT state stopping the motor from running and preventing the ESC from arming. Mounting: The socket may be installed through a panel or secured inside a fuselage. Wiring Diagram: Connect the white wire to the Aux Line (white wire) on an Edge ESC.Connect the red “+” wire to any servo wire with a Y harness or to any empty channel on the Receiver. Operation: Key in socket OR disconnected wire in socket harness = ARM LOCKED. A properly programmed and wired Edge will be incapable of arming when the key is in the socket. If the key is placed in the socket or the arm lock socket loses power, the ESC will go into a locked state - even if it is running. Key removed and power to socket = ARM UNLOCKED. ESC must receive low throttle signal to arm and run. !!!Warning!!! The ARM LOCK KEY feature should be used as an extra safety measure NOT to replace general safety precautions. Edge Arm Lock mode is intended as a secondary safety device. 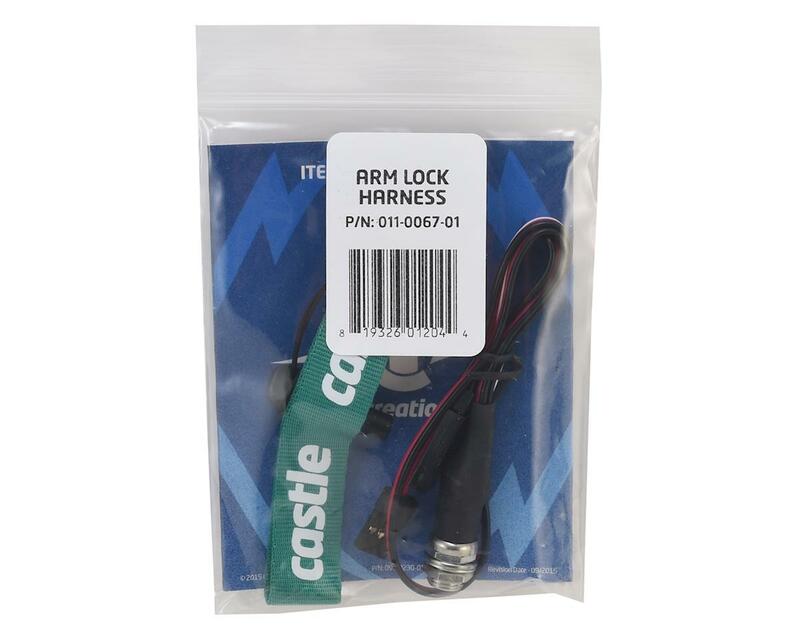 It is not intended to replace safe practices or careful handling of your RC power system, vehicle, and transmitter.Edge Arm Lock is only operational if you have successfully configured the Edge ESC using Castle Link software.Edge Arm Lock requires that the AUX LINE of the Edge ESC receives a voltage between 1.8V and 8.4V to arm. Failure of the power source (0 volts) will cause the ESC to enter ARM LOCKED mode. Do not mount the Edge Lock Harness to a conductive material (e.g. metal, carbon fiber, etc. ).